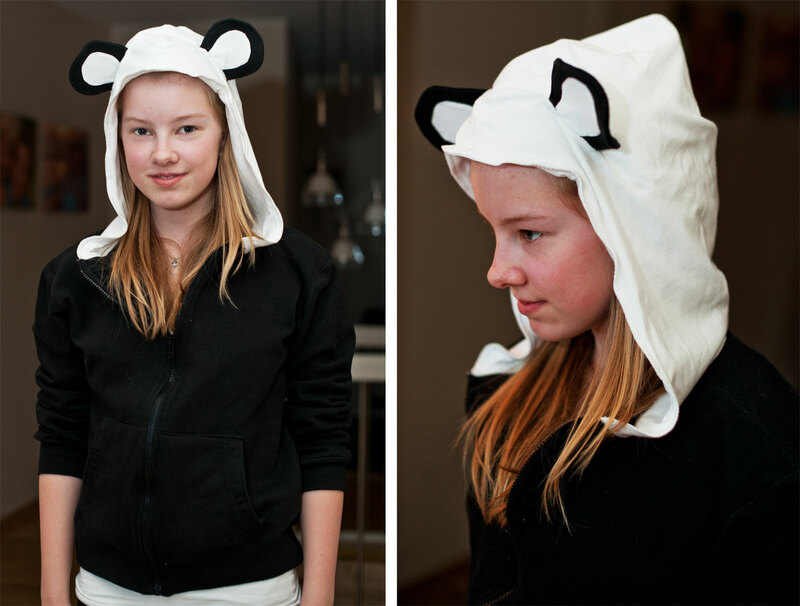 Just a quick Hello in between helping a friend move and cleaning the apartment (Yeah, this saturday is totally party...) and showing you my second creation in animal hoodies. Anyways, I offered to fix it for free, but she said she loved it and usually walked with sleeves rolled up anyway. Hey, whatever floats your boat, I guess. Haha.